The story of an Englishman who went to China in search of a fortune, and found a life. In booming Shanghai, Mark Kitto hit the big time. The Financial Times called him a ‘mini media mogul’. Funny, touching and inspiring, Mark’s story gives a very different view of China today – from someone who’s chosen to stay. Hot Spots to Shop Bangkok contains everything you need to make your shopping holiday memorable and successful. All the hard work has been done, so you’re free to enjoy the unique delights of Bangkok while you shop up a storm! In Hots Spots to Shop Bangkok you’ll find details on all the best shops, malls and markets for absolutely everything you could possibly want, conveniently organised by category.ld. 500 contemporary colour photographs, featuring the work of 80 of the world's leading tattoo artists. This giant volume includes the very best of the new work made possible by modern improvements in tattoo art. Here are 500 striking photographic images of tattoos, covering all styles from bold ‘tribal’ pieces, Chinese characters and hieroglyphs to delicate air-brushed designs, and from all-over ‘body suits’ to individual motifs – works as distinctive as the bodies they adorn. Featuring the work of the Discovery Channel's L.A. Ink stars Corey Miller, Kim Saigh and Hannah Aitchinson, and London Ink's Nicole Lowe, Louis Molloy and Phil Kyle amongst many others. Best Eats is Klang Valley’s first and only dedicated food guide which presents an unbiased, un-advertiser-driven perspective of the best places to eat at around KL, from kerbside casual to five-star gourmet restaurants. The guide encompasses exhaustively researched reviews by the writer and her editorial team, as well as readers’ choices and celebrity recommendations. This fully illustrated and comprehensive guide is the ultimate companion to the island. every aspect of exploring and enjoying this destination is laid out for easy use with step-by-step guides, maps and full directions. Finally, a comprehensive fish identification guide covering the fish-rich reefs of the Pacific. 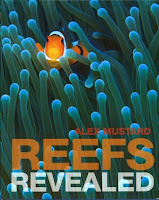 It contains 2,500 underwater photographs of 2,000 species from four of the best marine life authors/photographers in the business. Their collaboration makes it possible for underwater naturalists to identify fishes from Thailand to Tahiti with a single, compact, easy-to-use, no-nonsense reference. 108 fish families are presented in one of 20 Identification groups based on a family's related visual or behavioural characteristics, such as Large Oval / Colourful or Sand/Burrow Dwellers. Likewise, every effort has been made to group similar appearing species together. 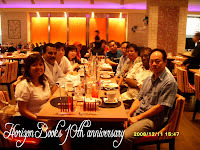 Borneo’s Tropical Eden – Sabah is the work of three close friends, fired up with a passion for the wildness. The perseverance and the vision have resulted in the culmination of a book that will serve as a window to the untamed world and remind us of our connections with the wild. Richly illustrated with over 360 photographs and evocatively written, the handsome book will appeal to eco-enthusiasts and lovers of nature. 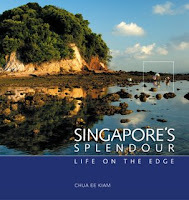 Singapore's Splendours - Living on the Edge reveals its best kept secrets with stunning images of the shores and its denizens. Lush landscape and macro photographs uncover the vivid and striking colours of the biodiversity. The author's intense curiosity and appreciation of lower life-forms is evident from the descriptive text and captions. He journeys with readers through the vibrant intertidal zones. This book covers extensively the shorelines on the mainland as well as the many offshore islands. Rarely seen creatures and glimpses of some almost extinct and endangered species pepper the pages. 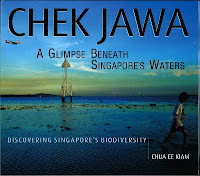 For years, a secret biological treasure lay hidden in the shallow tidal flats off the village of Chek Jawa. Protected by sandbars, Chek Jawa's beach is home to a vibrant variety of marine life, visible only at the lowest of tides -and only for a few hours each time. The tide moves like a magic curtain, each turn revealing the latest show of nature's wonders or closing to prepare for nature's next performance. The tiny village on Ubin island was itself unknown to most people in Singapore, but in 2001, it became the focal point of an urbanized nation about to lose almost all its natural heritage. Sacred Structures is a fascinating guide to the world of Hindu Temples in Malaysia and Singapore, presented through the unique artistic vision of some of it's leading artists. In four sections beautifully illustrated with original paintings by ten leading artists, the book takes the reader through the various phases of Hindu Temple building from the 5-6th Century to modern times. 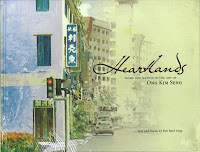 Simply entitled “Drawings”, advance copies of the glossy coffee-table publication have already generated widespread excitement throughout Malaysian and Singaporean art circles. Bookshops in both countries have placed substantial orders of the title in expectation of heavy end-of-year sales. Penang born and now an Ipoh resident, the 62 year-old Khor graduated from Singapore’s Nanyang Academy of Fine Arts in 1967. 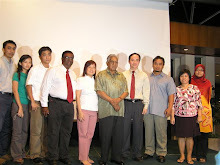 He held his first solo exhibition in Kuala Lumpur in 1969. 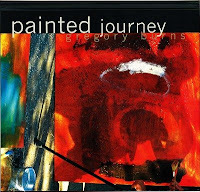 Since then Khor has established an international reputation for himself and his paintings are prominently positioned in both private and corporate collections worldwide. The well-travelled artist specializes in streetscapes and has captured on canvas inimitable scenes of everyday life across Britain, France, The Netherlands, China and, of course, throughout Malaysia and neighbouring Singapore.